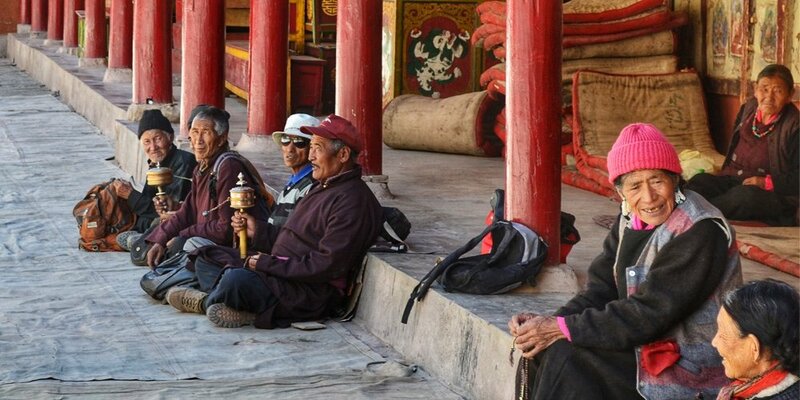 Get a fascinating insight into the people, culture, cuisine, lifestyle, and topography of the Himalayan region of Kashmir and Ladakh in our “Kashmir and Ladakh Experience” tour. 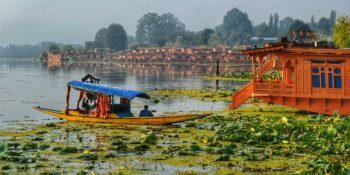 In Kashmir experience, Srinagar and the famed Dal and Nageen lake, take a shikara ride on the serene waters of the Dal lake and stay at a comfortable houseboat on the lake and visit one of the many beautiful gardens.The journey from Srinagar to Leh via Kargil is an experience in itself with the dramatic ever-changing landscape through the mountain passes of Zoji la and Futu la and the towns of Kargil, Sonamarg, Drass, Likir, and Lamayuru. In Ladakh visit cross the high mountain passes of Khardung La and Chang la and Baralacha la; sit by the serenity of crystal clear high mountain lake of Pangong Tso; feel the spirituality at centuries-old monasteries of Hemis, Tiksey and Alchi; drive through some of the most dramatic mountain landscape in the world passing through dry arid mountains of different hues of brown and grey shaped through centuries by wind and climate; visit Nubra Valley sand dunes for a ride on the double-humped camels and stay at some beautiful locations from lakeside tents to village home stays. 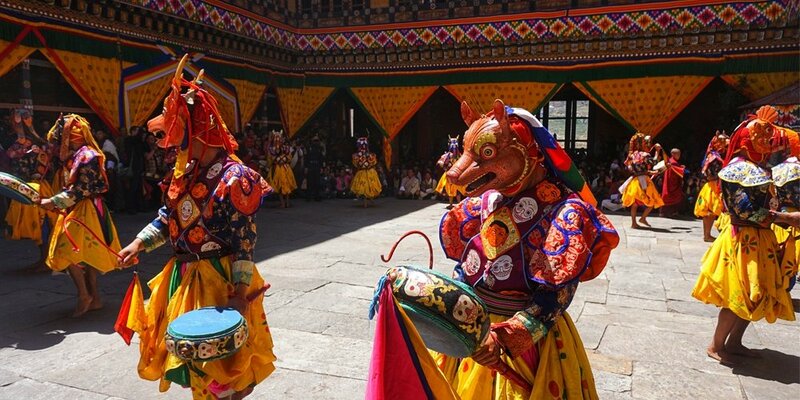 To make the tour more interesting we have coincided it with the Hemis festival. In the quaint Hemis Jangchub Choling Monastery, the colorful extravaganza of celebrating the birth of Lord Padmasambhava with dance, music, prayers, masked performances and a medley of colors will be seen. 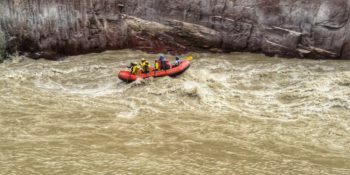 – White Water Rafting on the Zaskar / Indus River. Arrive in Srinagar and go on a half day excursion visiting Mughal Gardens, Shalimar Gardens, Pari Mahal. Evening enjoy a shikara ride on the serene waters of the lake and sample some delicious Kashmiri wazwan. Overnight at Houseboat at Nageen Lake. After breakfast leave for Kargil. En route visit Hazratbal mosque, see the beauty of the meadows of Kashmir, visit Sonmarg and then cross the Zoji La pass to enter Kargil. Stop at the war memorial close to Drass and reach Kargil by evening. Overnight at Kargil. After breakfast, we head towards Leh. Today we pass through some of the most scenic drives on our journey. 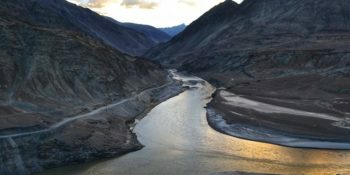 On the way we stop at Lamayuru ( one of the most important monasteries in Ladakh ), Namika La and Fotula passes ( the highest point on the Leh – Srinagar route ) and the confluence of the Rivers Indus and Zanskar. Arrive in Leh by late afternoon. Overnight in Leh. After breakfast, leave for Nubra Valley, driving across Khardong-la (alt: 18,380 ft), the highest motorable pass in the world. 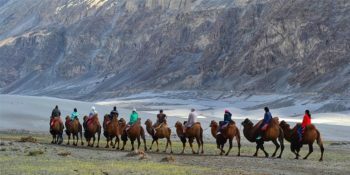 Along the Nubra or Siachan River lie the villages of Sumur, Kyagar , Tirith, Panamik and many others. Across the Nubra or Siachan River at Panamik is the isolated Ensa Gompa. After descending into the Valley, drive across the Shayok River and to Hunder to check into the homestay. Overnight at Nubra valley. After breakfast leave for Leh. On route stop at the sand dunes of Hunder and take a Camel Safari on a double-humped and visit the Diskit Monastery. Later leave and reach Leh by evening. Overnight in Leh. Free day to rest/walk around Leh town / take an optional monastic tour or go white water rafting in the Indus or Zanskar River. Overnight in Leh. Early morning we leave for Pangong Lake located at about 130 kms from Leh. We pass through Changla pass ( 5486 meters above sea level ) on the way which is the second highest pass in our tour. While ascending Changla pass enjoy the beautiful panoramic view of the villages below the pass. After crossing the pass halt for lunch at Tsoltak, the summer pastureland of the yaks. Arrive at Durbuk and from there a short drive takes you to the western shore of the lake. One rarely feels so close to nature and environment and the scenery is unforgettable. Later leave from Pangong Lake and back to Leh by late evening. Overnight in Leh. Today we have a full day monastic tour and watching the Hemis festival. See the colorful extravaganza of dance, music, prayers, masked performances. This unique experience with thousands of photo ops is going to be one of the highlights of this tour. Later in the evening on the way back, we stop at Thiksey monastery. Evening back to Leh and indulge in some last minute shopping. Overnight in Leh. After breakfast drop to airport. End of trip. Stay will be in Standard category hotels and Bed n Breakfast places with good reviews on double/twin sharing basis. Indian food is available at all places. Western food available at Leh. Permits are required for Pangong Lake, Khardung La Pass and Pangong Lake. You should carry an identification with you to make the permits. 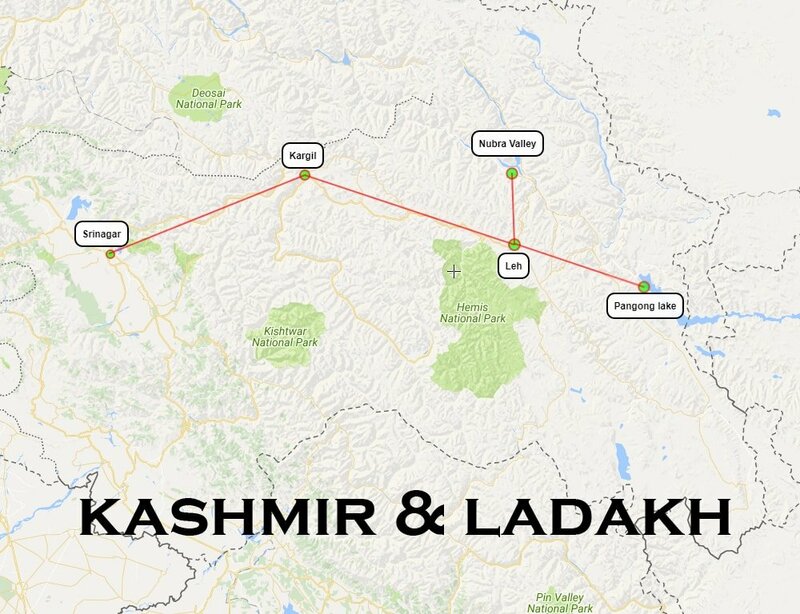 This tour lets you get an overview of the landscape, culture, customs, and lifestyle of Kashmir and Ladakh. Also, you have the option of some rafting adventure and Monastery festival experience. Our small group tours also allow enough time for yourself ( mostly in the evenings ) and the group leaders will assist you too if you need to do your own thing. Stay and food is a big part of the travel and we make sure you are made comfortable and therefore we choose some of the best-reviewed places to stay and eat. We try to incorporate more local experiences on our tours with the help of our experienced tour leader and local guides to make your experience even more memorable. Our tours are not standard sightseeing package tours, it’s more experience-oriented so as to give a real travel value to the guests. Exotic Expeditions is an experiential based travel company founded in 2010. We are based out of Bangalore and Mumbai and we create uniquely designed tours that have high travel value. We include activities, local interactions, and offbeat destinations so that the guests go back with experiences to remember for a long time. What are all included in our tours? A comprehensive list of inclusions and exclusions is mentioned on the respective trip page, but across all our trips, we have these in common: exclusive private transfers, breakfast on most days, good accommodation, unique experiences, expert guides and an experienced trip leader who’s there to assist you around the clock. Are flights & visas included in your costs? No.We don’t include flights and visa costs in our prices unless specified. We, however, will help you with booking flights and getting the visa done. We believe that a small group is can enjoy the journey better and have closer interactions with the group members, therefore, we restrict our group size to a maximum of 15. Group size typically between 5 and 15. Our travelers are friendly, open-minded, well traveled and we have a good gender mix on our tours. Anyone above 18 years of age can join our trips. Participants below the age of 18 must be accompanied by an elder. Which cities do travelers come from? Our travelers come from all over India. Bangalore, Mumbai, Delhi, Pune, Chennai, Hyderabad and Calcutta are represented the most. You can make payments through credit and debit cards, net-banking, cash or cheque. Installment options are also available. Can solo travelers join one of the tours? Yes. On most of our tours, we have a high turnout of solo travelers seeking a different travel experience. Many of them even end up becoming friends after the tour. How safe is it to travel with you? Your safety is our number one priority and we design our travel journeys keeping this in mind. 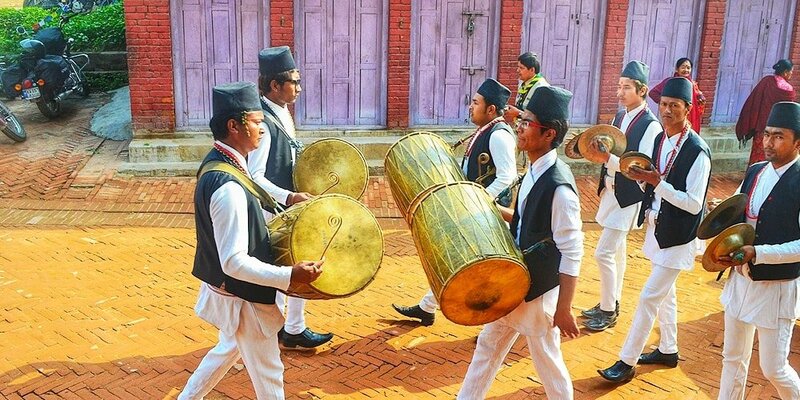 Nepal is a true Himalayan kingdom, sharing Everest, the Earth's highest mountain, on its northern border, and with seven more 8,000m (26,246 ft) peaks sprinkled around the country.. From the whirlwind of Kathmandu,the lush jungles of Chitwan National Park, the history and character of Bhaktapur to the mountainous charm of Pokhara- with plenty of delightful hidden gems in between, Nepal is a true Himalayan experience. 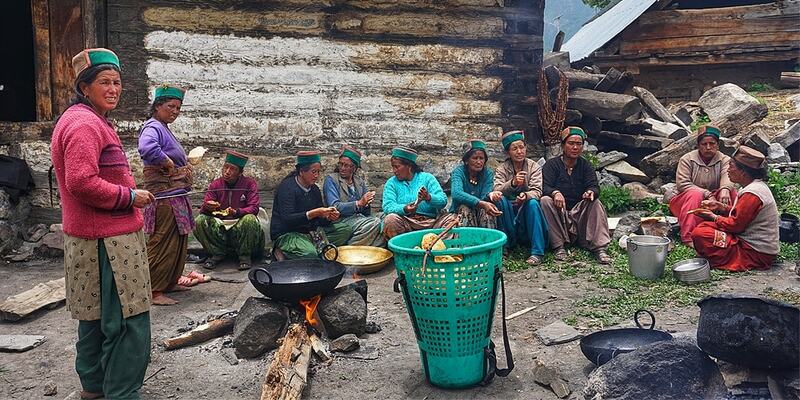 Kinnaur & Spiti Explorer is an introduction into the landscape, cultures and traditions of the Spitian and Kinnauri people. During the tour we visit temples and monasteries, stay at the highest inhabited villages in the world at Komic, camp around Chandratal Lake, drive across the stunning Himalayan landscape, visit high altitude lakes and cross high passes.